Welcome to “You Should Move To…”, in which we travel the country scoping out beautiful, under-the-radar old house towns where big charm can be had for little cost. Have a city, town or neighborhood to recommend? Send it along to [email protected]! Galveston is a small barrier island town on the coast of Texas just fifty miles outside of Houston. With a population of around 40,000, Galveston boasts tight-knit charm along with miles and miles of beaches and an eclectic built environment that would make even the mildest old house fan weak in the knees. Beautiful Victorian homes line Post Office Street in Galveston. Photo by Laura Scudder. Tell me this isn’t the pink mansion you’ve always needed in your life. Guess what — it’s for sale! Full listing HERE. Founded in 1836, the island’s first European settlements were constructed around 1816 by French pirate Louis-Michel Aury to help the Republic of Mexico gain their independence. Following successful independence from Spain, the Port of Galveston was established and went on to serve as the main port for the Texas Navy during the Texas Revolution and as the capital of the Republic of Texas. The port served as one of America’s largest during the 19th century and now attracts millions of visitors a year. It’s a place with rich history and as a result, various architectural influences. Downtown Galveston. SWOON. Photo by arscheffield. The landscape is diverse, so if it’s a quaint Queen Anne on a mossy oak lined street you’re envisioning, you’ll find that on the east end of the island. If you’re picturing yourself beachfront on the sparkling Gulf of Mexico, head to the west end! Known as “The Playground of the South” in the late 1800s (I’m picturing streets lined with monkey bars right now), a nice balance has been achieved between appealing to tourists and forging a strong local community that hangs around once summer’s gone. The c. 1884 Sacred Heart Catholic Church. Photo by Michael Price. There’s something for everyone in Galveston — especially if you’re interested in buying a gorgeous old house! 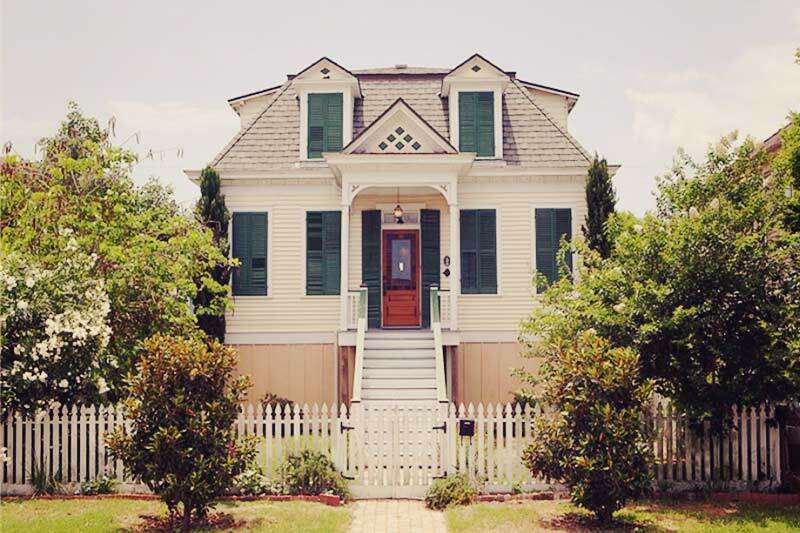 Dreamy Victorian cottages abound in Galveston! Photo by Laura Scudder. Galveston boasts one of the largest and most significant collections of 19th century architecture in the United States. There are six large historic districts boasting over 60 individual structures on the National Register of Historic Places. The East End Historic District is comprised of over fifty blocks of tree-lined charm and architectural treasures ranging from 1850s-era Greek Revivals to ornate Victorians and including other late nineteenth century dormered cottages, gable houses and shot-gun houses, (known as commissary houses here) as well as the work of architect Nicholas Clayton. Downtown Galveston is too gorgeous for words! Photo courtesy of Galveston.com. The c. 1882 Stewart Building in the Strand Historic District. Photo by i_am_jim. The Strand Historic District is comprised of Victorian era structures adaptively reused as restaurants, antique stores, art galleries, museums and more. It is referred to as “The Strand” and the five-block district has become the island’s shopping and entertainment mecca. The c. 1886 Franklin-Wandless House. Photo by i_am_jim. 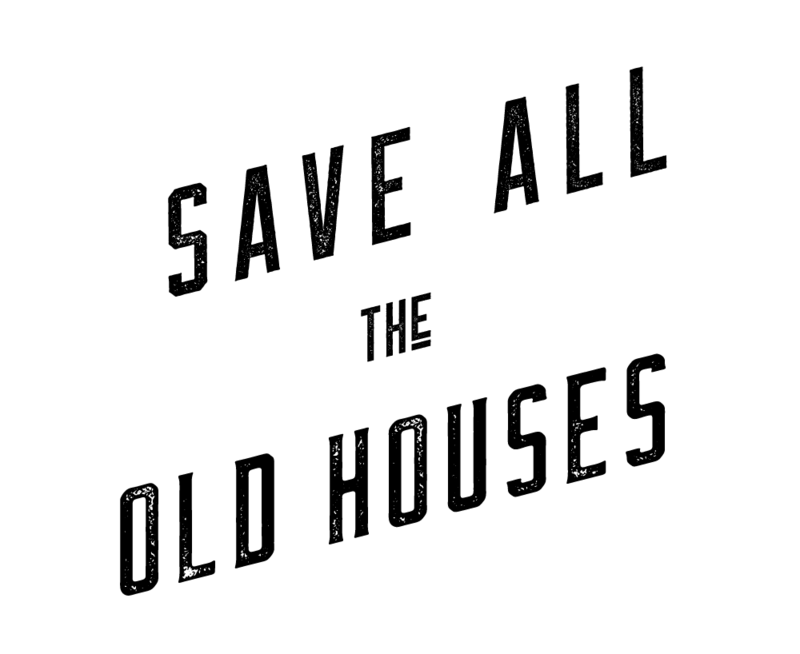 Best of all, Galveston has a very strong and nationally recognized preservation and conservation movement led by the Galveston Historical Foundation. Housed in the 1940 Sears Building at the intersection of 23rd and Broadway, there’s even an Architectural Salvage Warehouse on the first floor where donated historic materials are sold for repair, rehabilitation and preservation projects in Galveston. All proceeds go towards the Galveston Historic Foundation Preservation and Conservation operating funds and classes are even provided offering how-to instruction and lessons on local architecture and historical significance. Trube Castle, c. 1890. Photo by Nsaum75. The city’s oldest house is the c. 1838 home of Michel Menard, one of Galveston’s founders. Photo by i_am_jim. Isn’t it a wonderful thing that the community takes such pride in its built environment and works together to maintain it? And doesn’t that sound like the kind of place you’d want to move to? This Victorian beauty is for sale $225,000. Full listing HERE. How about the 1886 William Pautch Cottage? It’s for sale for $285,000. Full listing HERE. If dreamy bungalows are more your style, this c. 1932 beauty can be yours for $179,900. Full listing HERE. What gets me is how very affordable it would be to relocate to Galveston immediately. I love the kitschy feel of the traditional Victorians painted with bright, tropical colors like here and here and they’re both around $300,000 or less! Architectural splendor in the East End Historic District. Photo by Rwminix. The variety of styles available is really exciting, too, like this great c. 1915 Craftsman for under $350,000. This raised cottage is also such a cute vernacular style and a low, low $150,000! What are you waiting for? With a subtropical climate and endless avenues for strolling and staring, living on island time sounds wonderful! Living on island time in one of these wonderful homes — now that’s got me thinking about a move to Galveston. Alix hails from Charleston, South Carolina. She earned degrees in Historic Preservation and Art History from the College of Charleston and continues to be captivated by the city’s old-world values and architecture as they brush up against the new. She lives in an 1890 Charleston Single with her Sheltie Oliver and prefers to make the commute to work on her shiny red bike. Why are a lot of the houses set up so high? Flooding issues? Hurricanes. Between 6,000 and 12,000 people died in Galveston in a particularly bad storm in 1900. Many were built up high after the 1900 hurricane. The grade of the island was raised and many houses were built higher to avoid any future flooding problems. That area underneath is often referred to as a daylight basement and used for storage or workshop space. In the early 1900’s, Galveston lifted all of it’s surviving houses up in stilts while dredges pumped land under them. Many if the houses were lifted higher than the land pumped, which is why you see many on pier and beam today. Look at “Galveston: a city on stilts” for a good understanding of the task galvestonians accomplished to remain on the island.